This is probably one of my most favorite things I've done. 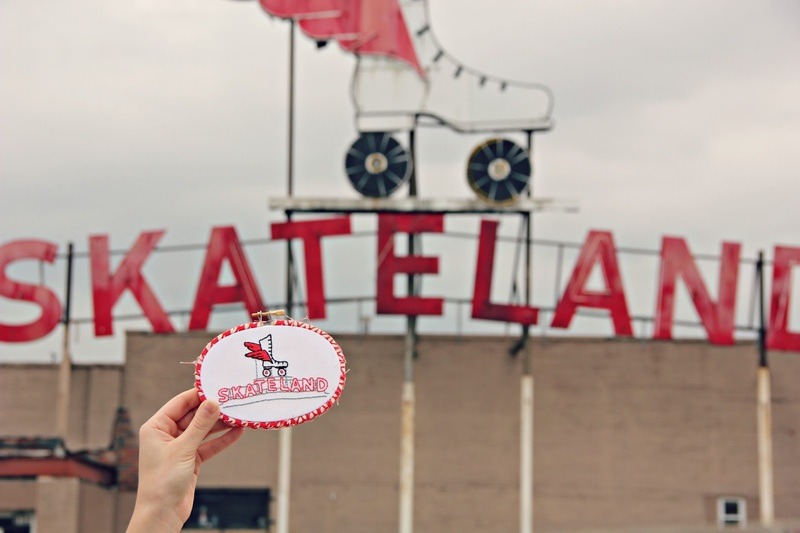 In person this Skateland sign is so incredible! Unfortunately, I never had the opportunity to enjoy Skateland in it's heyday but I would bet it was awesome. (Does anybody have any good stories???) I'm just happy that this incredible sign is still standing even though this building is no longer the roller rink it once was. This Memphis hoop is now listed in my shop! Speaking of my Etsy shop, I decided to do something new. Now, if you are local you have the option to get local pickup (you won't have to pay shipping). Simply enter MEMPHIS at checkout. Great job with the hoop! I bet Skateland would have been such a fun place to hang in its day!